​If like us you want to see a return of quality Traditional 2D Animation to the USA again, this is as good a starting place as any! DRAWTASTIC is doing all it can to make a difference - at least at the grassroots 'indie' level. A great deal has happened since we launched our first 'Festival of Drawing & Animation' in April 2016. Books, lectures and workshops have either happened or are being planned ~ in addition to our next festival being scheduled for the end of February, 2017. 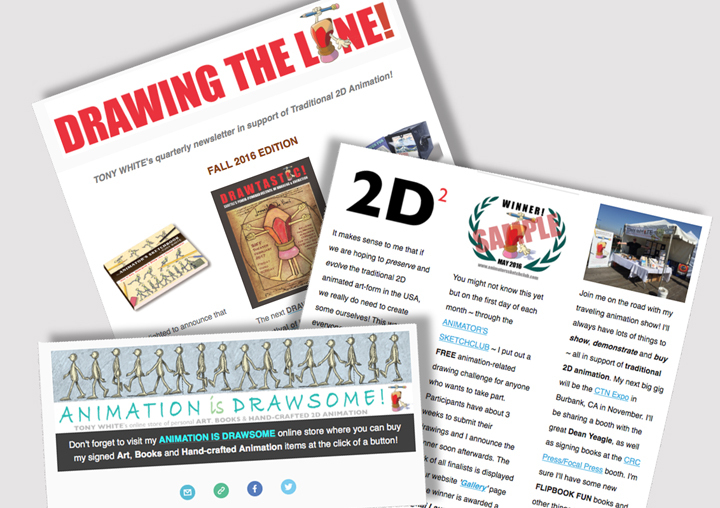 We really do think its time to 'draw the line' in terms of the demise of Traditional 2D Animation in the USA. So please join us as we seek to make that change! Find out why these incredible Hokusai sketches are in our 1sr 'Drawing The Line' newsletter!